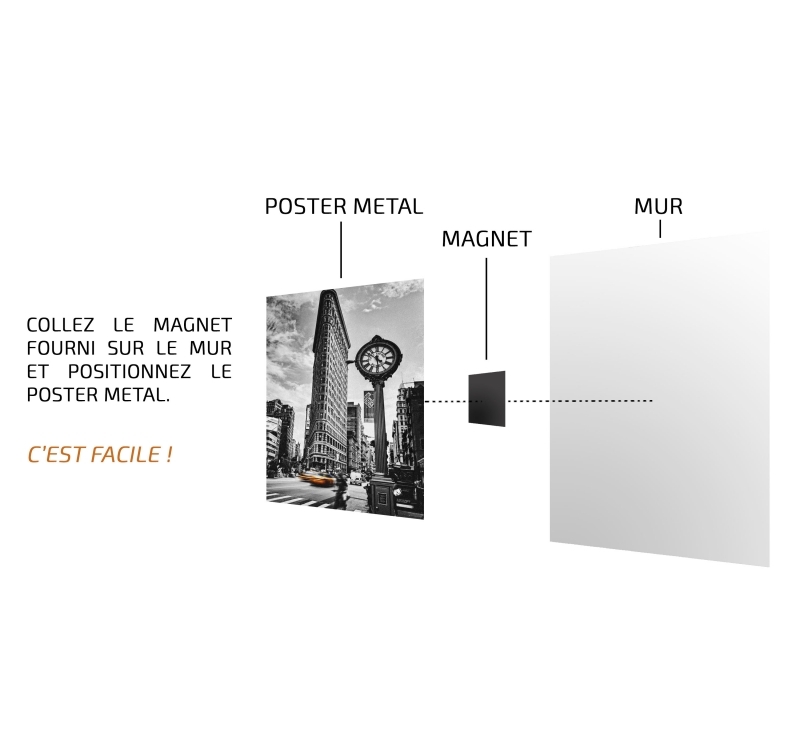 A stellar design with surprising and utopian looks in wall metal poster ! 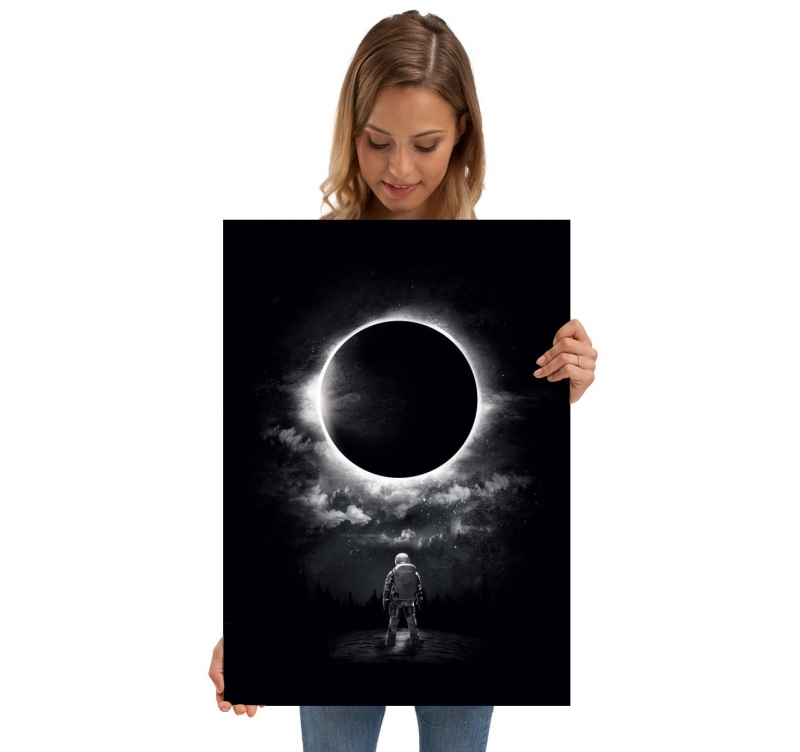 An imposing and magnificent eclipse seen from an unknown planet arises in the center of the metal design poster. 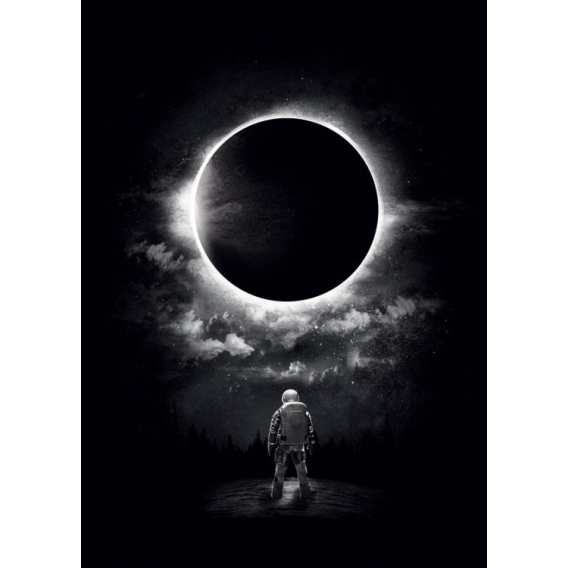 Completely free shipping in metropolitan France and Belgium for this stellar wall poster. When the moon passes in front of the sun, it creates a splendid eclipse sweeping the planets of a dark veil and silver lunar streaks. A metallic rendering for your amazing interior decorating with a strangely fantastic atmosphere. 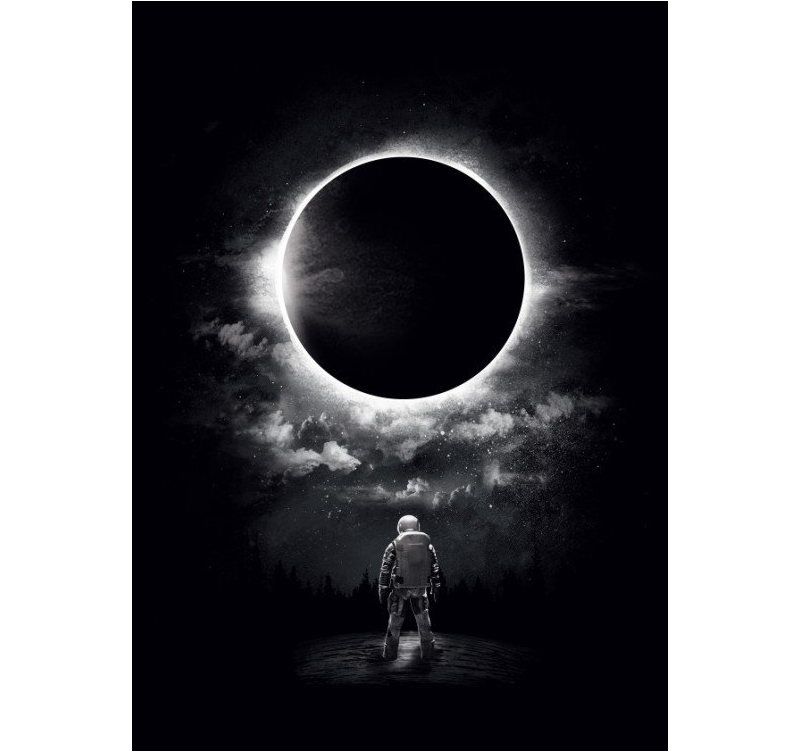 This astronaut observes this marvelous spectacle representing an eclipse surrounded by clouds and innumerable stars from a planet unknown to men. What lies behind this mysterious planet just discovered by this astronaut ? 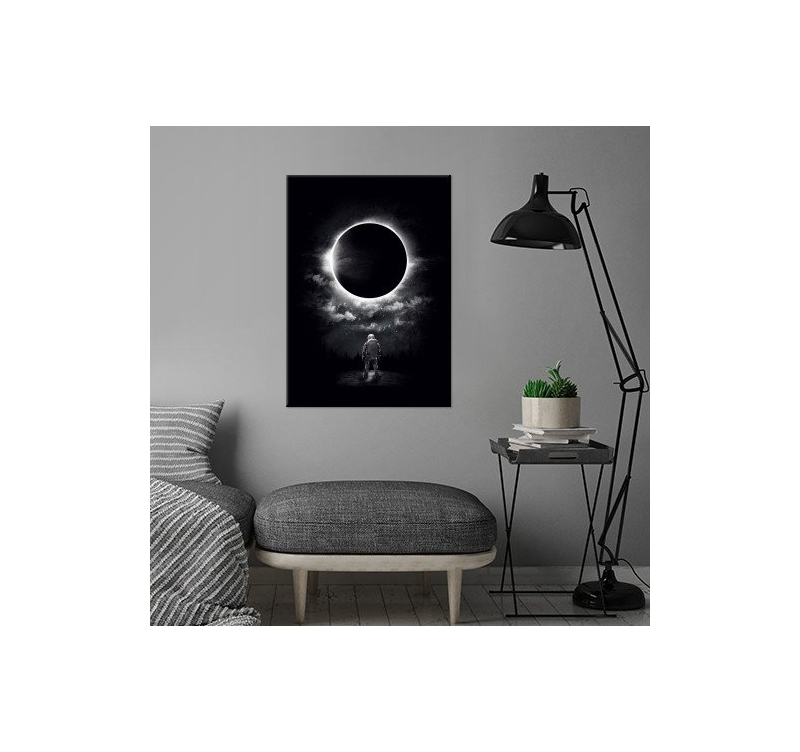 This metal poster will leave you pensive, and will be a beautiful decorative object for your bedroom or your living room. 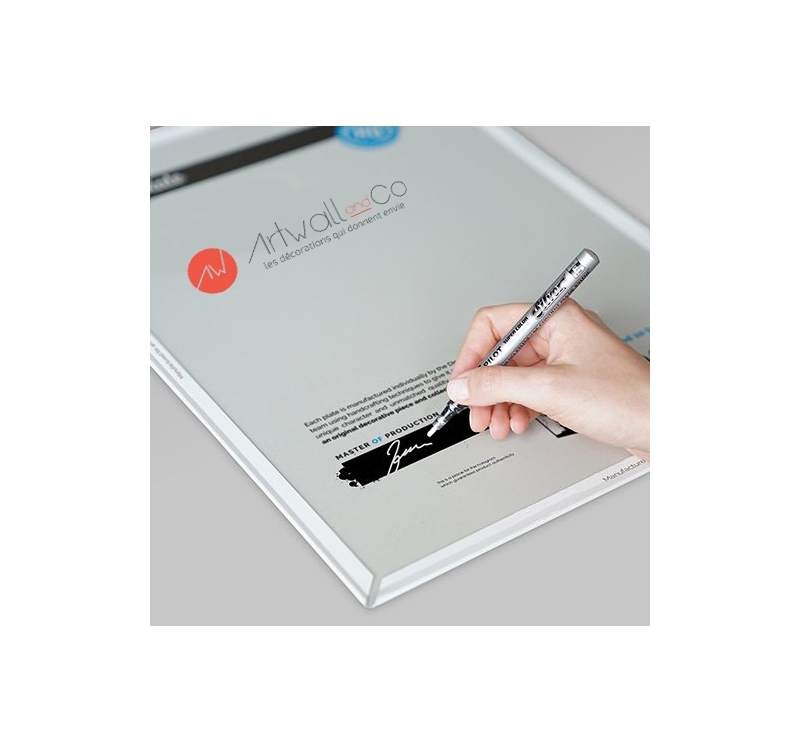 We provide with the metal poster an inventive and very practical fastening system. Just stick the magnet on your wall and let the original poster merge with the magnet. A hologram is on the back of the metal poster and the signature of our workshop manager to authenticate this collector's item.